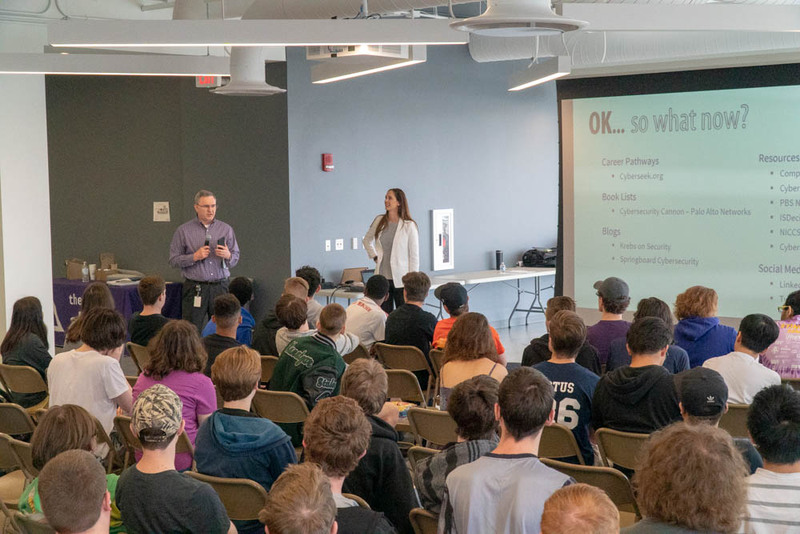 The 2019 Cybersecurity Converge Tour made a stop in Kansas City on April 10th. 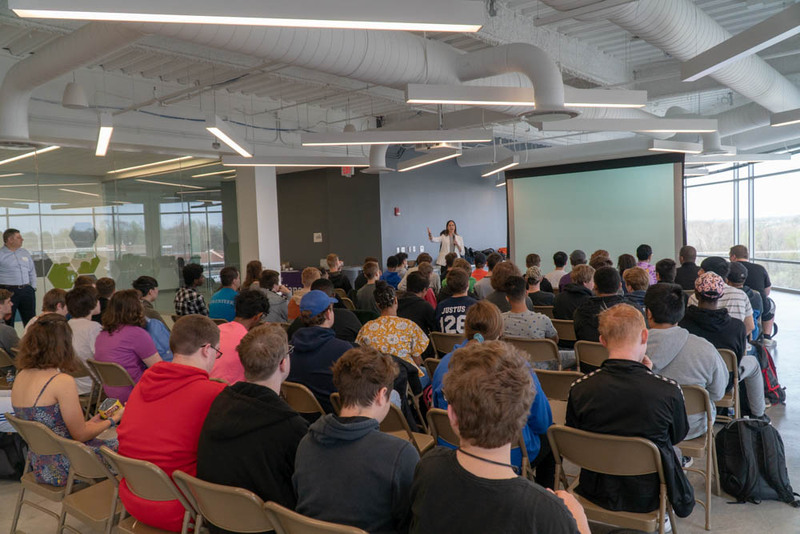 We once again partnered with North Kansas City Schools and held the event at the Northland Innovation Center. Market Leaders, former Executive Director Clayton Pummill, now Principal at Torch.AI, Shawn Scott of Garmin International, and Lewie Dunsworth of Herjavec Group helped the Alliance plan an incredible event. 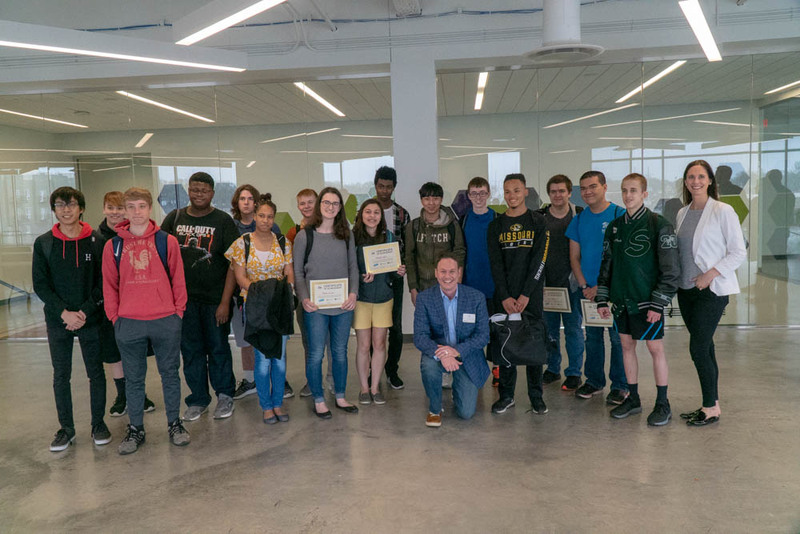 Students from four NKC high schools were treated to an incredible facility, inspiring leaders and a day of gamified cybersecurity education, thanks to our virtual Capture The Flag exercise. 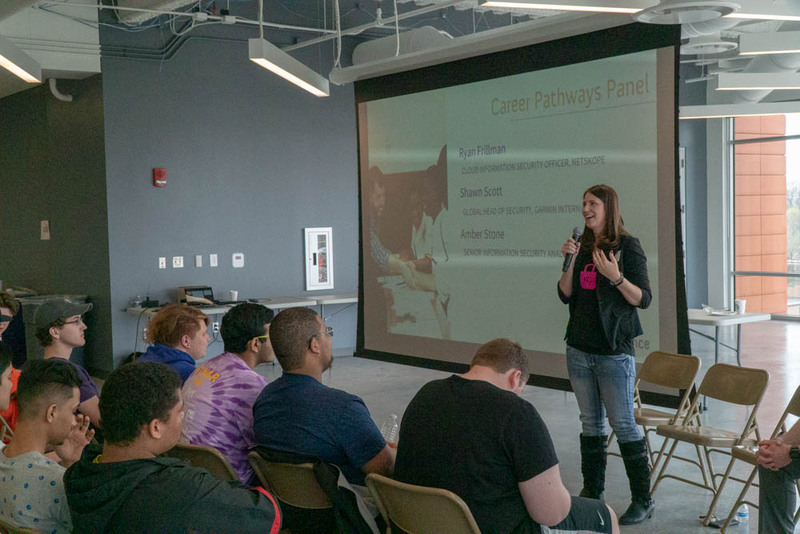 Executive Director, Sidney Plaza welcomed volunteer mentors and students in a general session to explain our purpose for the day, to spread awareness of the industry, possible career paths, and the factors that make cybersecurity so exciting. 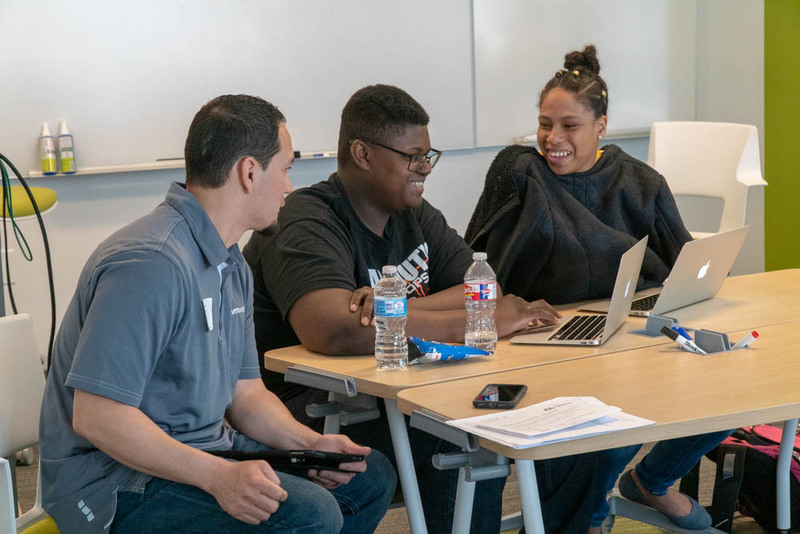 Volunteers from Blue Cross Blue Shield, Garmin International, Lockton Companies, Torch.AI, TruStar Technology, Netskope Security, Cerner, Symantec, and more demonstrated the value of mentorship and education to the students in attendance. “Cybersecurity is absolutely the protection of data and information, but more importantly, it’s the protection of the people behind that data. Cybersecurity is the protection of people.” – Yaron Levi – CISO, Blue Cross Blue Shield of Kansas City. Our program then broke students into various computer labs, further into small teams and then explained the rules and goals of our Capture The Flag exercise. 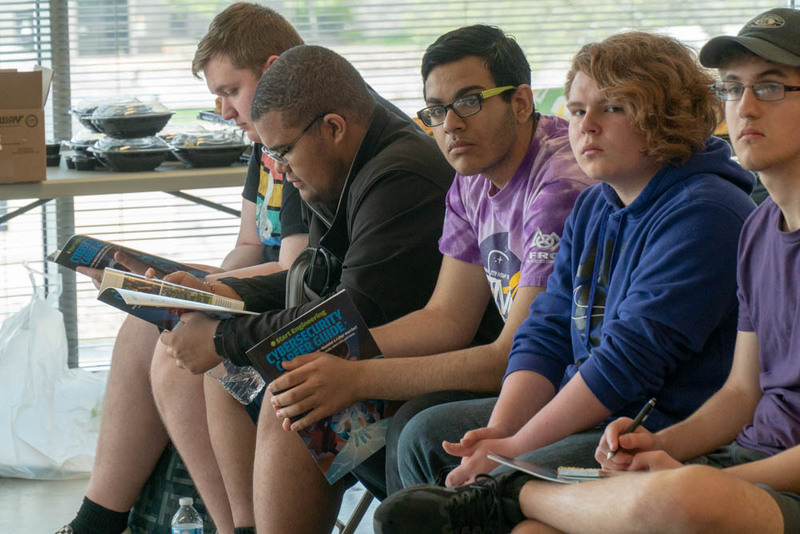 “The game and the questions are designed to not only demonstrate some of the technical acumen we use in our everyday jobs, but also, the ethics we want to impart, and the team building skills that are so valuable in our organizations today. 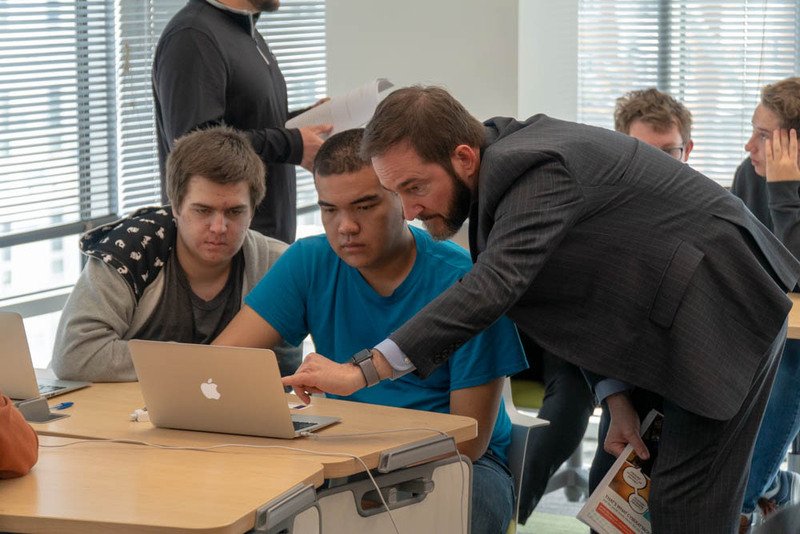 We are focused more on teaching analytical thinking, and creativity, communication and collaboration.” – Ryan Frillman – Cloud Information Security Officer – Netskope Security, & St. Louis Market Leader. 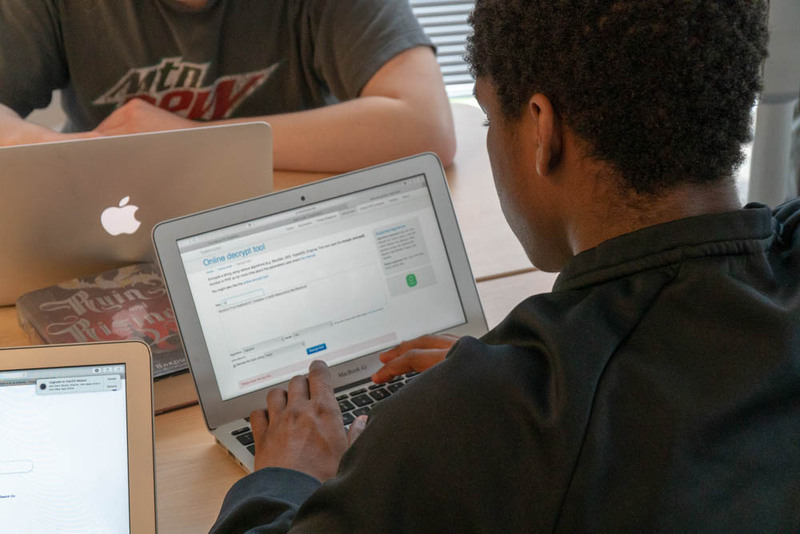 Students are challenged to research information, explore tools, challenge their ethics and find solutions that are likely foreign to them in traditional curriculum. The day concluded with a catered lunch and a panel discussion with our volunteer members, speaking with students about their career paths. What education they had achieved, how they chose mentors, what organizations they belong to and how they have worked through a multitude of different positions to arrive at today. 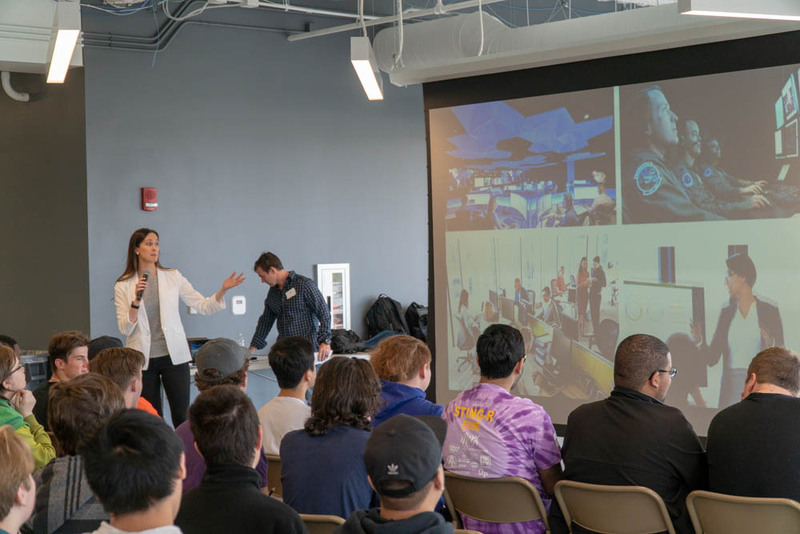 Students asked questions about work life balance, various positions available in the field and what degrees would be most applicable to a job in today’s market. The Alliance would like to thank our global sponsors Palo Alto Networks and Microsoft for making each and every Converge Tour event possible and thanks as well to Netskope and TruStar for supporting this event in Kansas City.